The University of California, Davis, commonly known as UC Davis, or just UCD, is one of the ten campuses of the University of California, and was established as the University Farm in 1905. It was formally established as a general UC campus by the Regents of the University of California in 1959. UC Davis is a public, coeducational university located in the city of Davis, California, about fifteen miles (24 km) west of Sacramento in the Sacramento Valley, part of California's Central Valley. UC Davis has grown to become a prestigious public research university, especially in the arts, humanities, life sciences, health sciences, and engineering. UC Davis also has renowned graduate programs, such as the UC Davis School of Medicine (which includes the UC Davis Medical Center), the UC Davis School of Veterinary Medicine, the UC Davis School of Law, and the UC Davis Graduate School of Management. 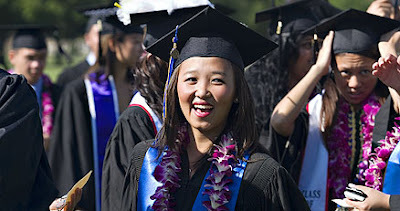 U.S. News & World Report 2008 America's Best Colleges ranked UC Davis the 42nd best university in the United States, 11th best public university in the United States, and 4th best of all the UC schools (after Berkeley, Los Angeles, and San Diego). Washington Monthly ranked UC Davis 8th in the United States.UC Davis is also the 3rd oldest campus of the University of California system, and is a Public Ivy institution of higher education. In addition to research and academics, UC Davis has a noteworthy athletics program; Aggie teams have recently joined NCAA Division I athletics. Most of UC Davis's athletics teams play in the Big West Conference, but some (for the sports that the Big West Conference does not sponsor) also compete in the Great West Football Conference, Pacific-10 Conference, and the Mountain Pacific Sports Federation. In 1905, Governor George Pardee signed into law an act to establish a university farm school for the University of California (at the time, the Berkeley campus was the sole campus of the University). It would be more than a year before that commission selected a tiny town, then known as Davisville, as the site. What was to become the third UC Campus opened its doors to 40 degree students (all male) from UC Berkeley in January 1909 as the "University Farm." (The farm had begun accepting non-degree farmers' short courses in October of 1908; there were initially around 115 such attendees.) The establishment of the Farm was largely the result of the vision and perseverance of Peter J. Shields, secretary of the State Agricultural Society, and the namesake of the future Peter J. Shields Library at UC Davis. Peter J. Shields, the "Father of the Farm." There was a College of Agriculture at Berkeley in connection with the University of California, but it was purely academic. It was largely confined to the study of botany and chemistry; it had no farm and little prestige; it was apt to be thought of as a snap curriculum, attracting students who wanted to go to college but wanted to avoid its more difficult work. After two failed bills, a law authorizing the creation of a University Farm was passed in March 18, 1905, and Yolo County, home to some of California's prime farmland, was chosen as the site. The Farm accepted its first female students in 1914 from Berkeley. Renamed in 1922 the Northern Branch of the College of Agriculture, it continued growing at a breakneck pace: in 1916 the Farm's 314 students occupied the original 778 acre (3 km²) campus, but by 1951 it had already expanded to a size of 3,000 acres (12 km²). In 1959, the campus was declared by the Regents of the University of California as the seventh general campus in the University of California system. It has since grown into a vibrant and politically active campus.